We received a lovely gift in the mail – a one year pass to the Minnesota State Parks with a weather-channel radio that you crank (in case of Minnesota inclement weather). We’re not sure who sent us the gift as it came with no card although the gifter must be an MPR listener. 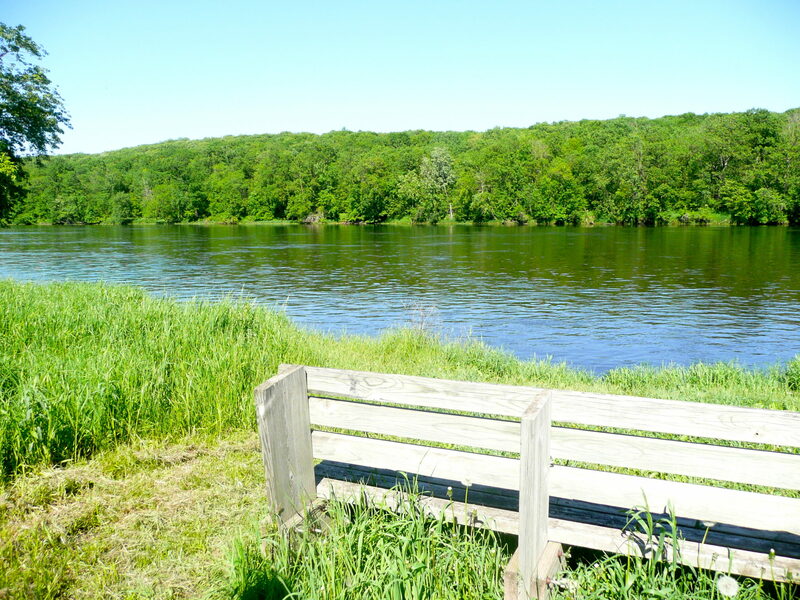 Today we decided to use our pass and go to the Wild River State Park in Wild River, Minnesota. The drive was beautiful as we passed many lakes and the Minnesota trees that are in full bloom. 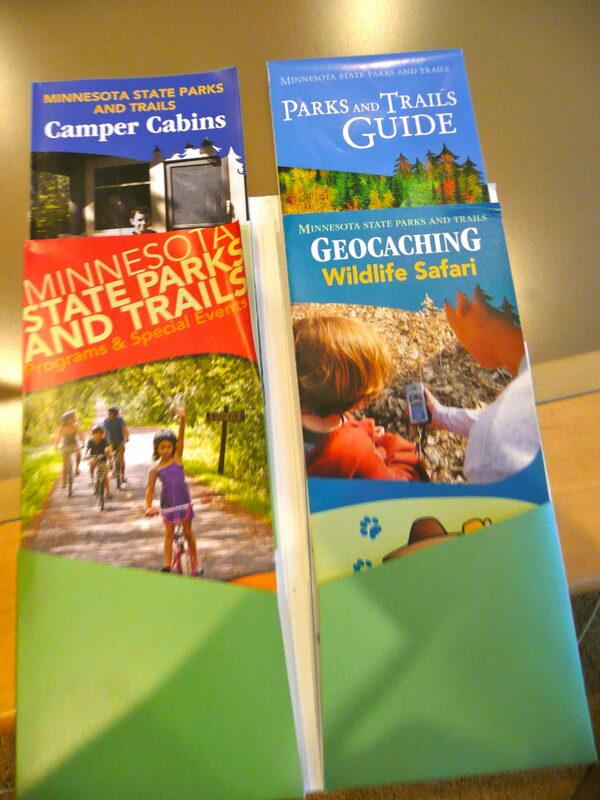 We headed straight to the Visitor Center to see what trails they had that weren’t too long or strenuous. 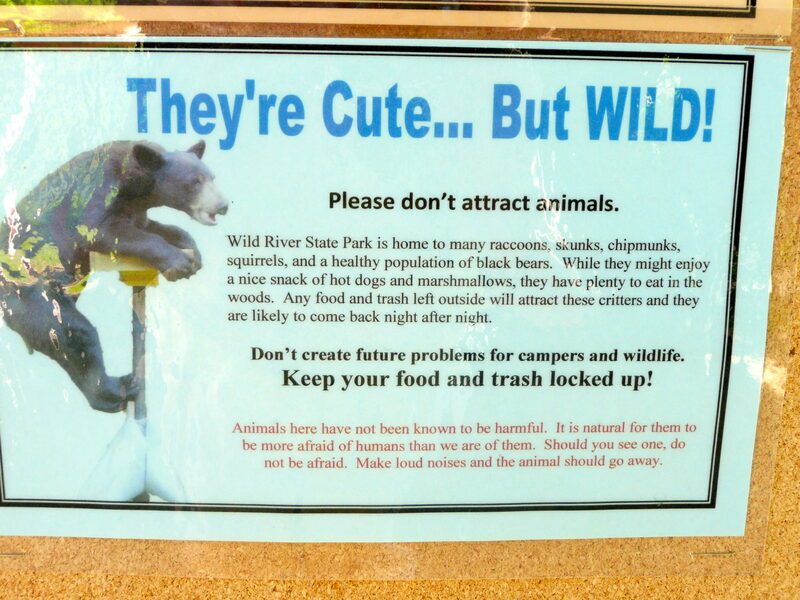 The first sign we saw was a warning sign. 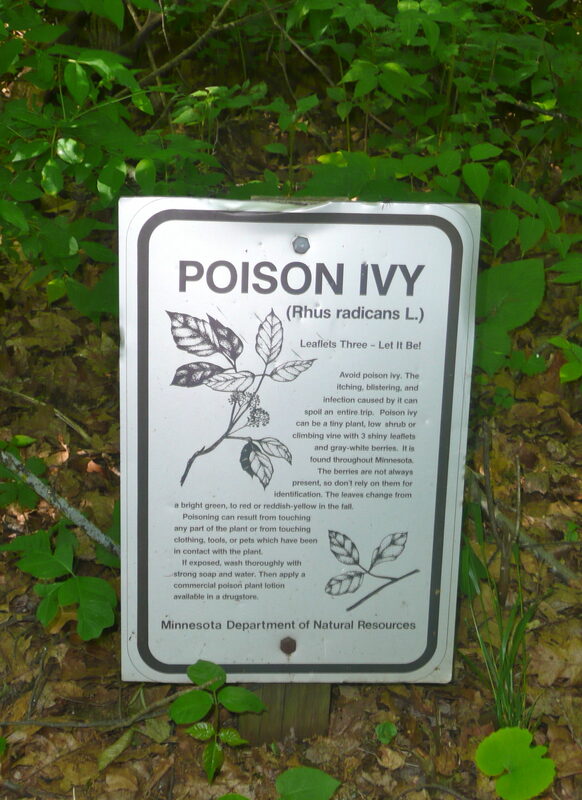 This is not the best greeting but it’s a good thing they had the warning as I haven’t been reading my camp books to know to look out for poison ivy. 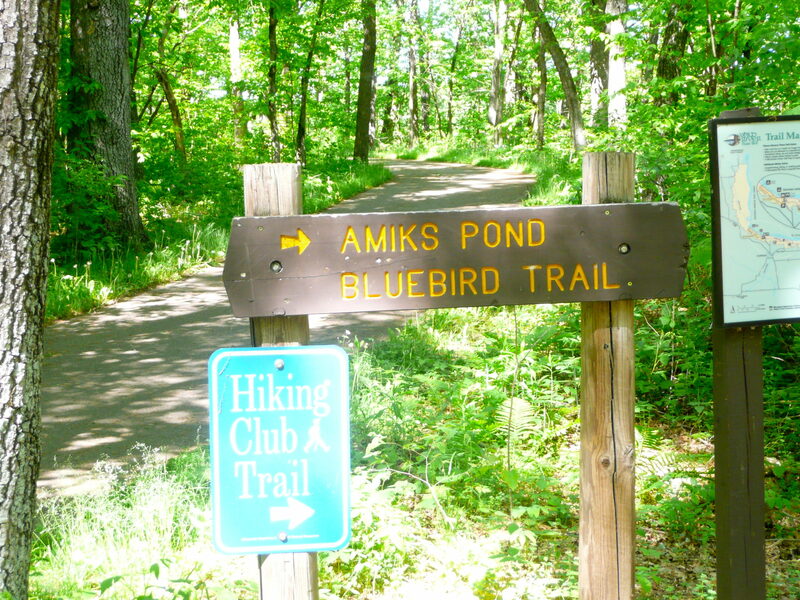 After picking up a pamphlet with a list of the trails, we decided to take the Amiks Pond Bluebird Trail as it seemed pretty easy(we didn’t see any bluebirds though). 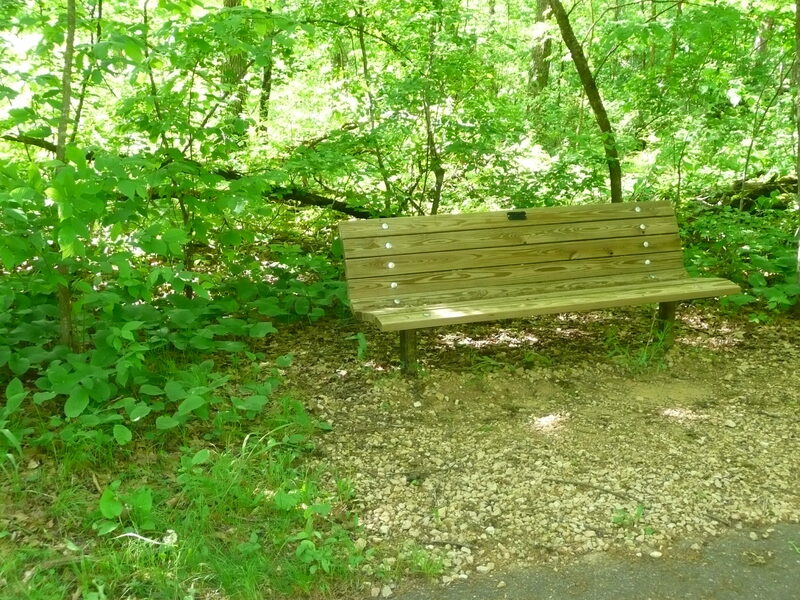 The trail started very easy and soon led us to a bench where we could rest if we wanted to. 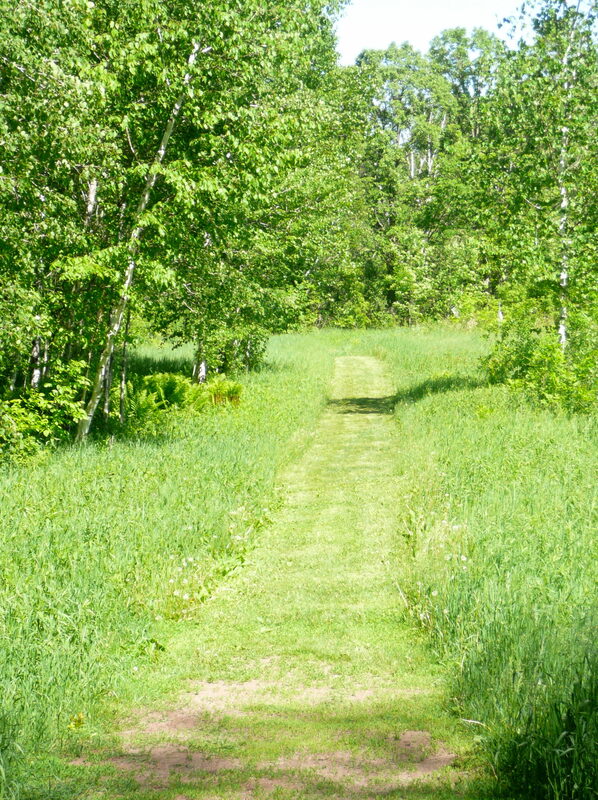 Eventually the trail turned grassy and beyond the bend we could see part of the St Croix River. 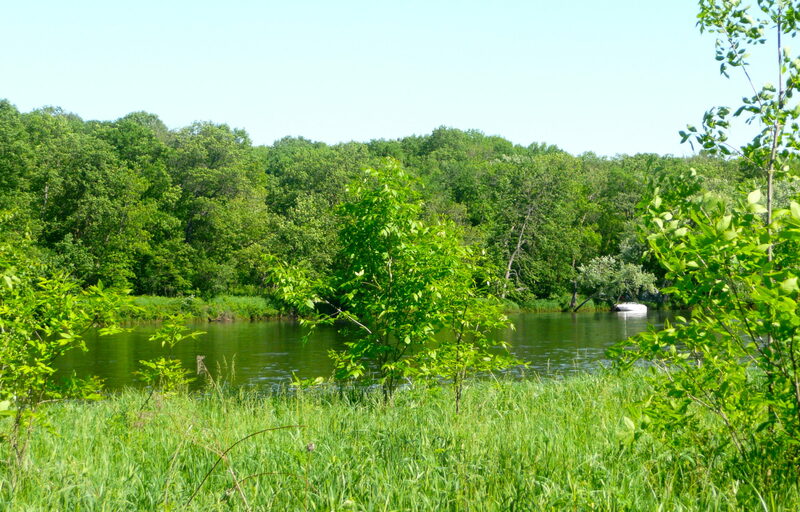 Then — the St Croix River opened up in all its splendor. The river was flowing more quickly than I thought it would. 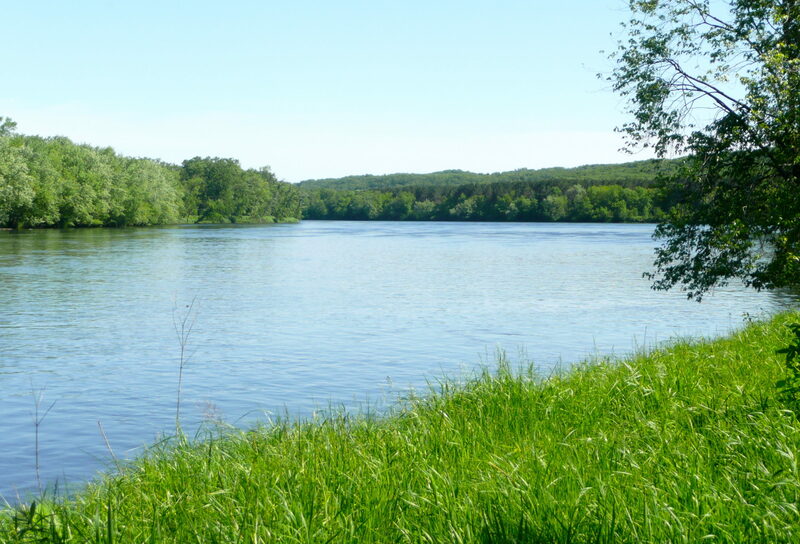 The St Croix is a beautiful river. The trees on the other side are in the state of Wisconsin. 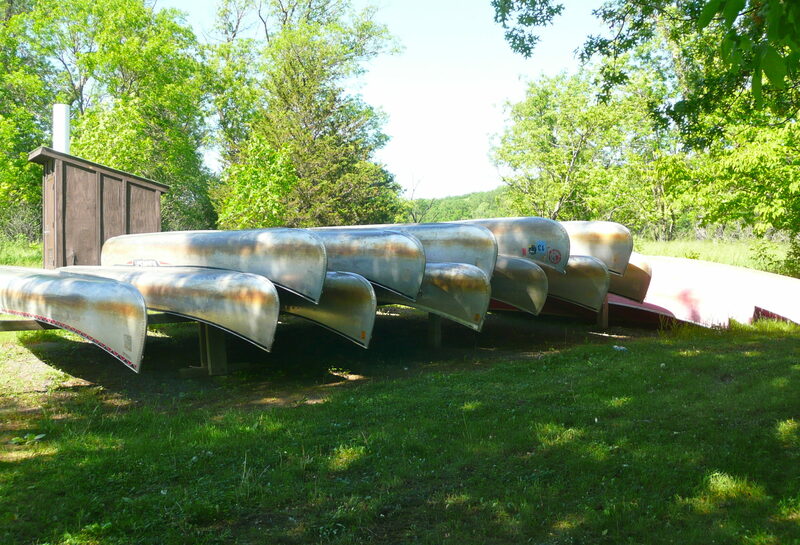 After passing the river, we came to a road where one can rent canoes. 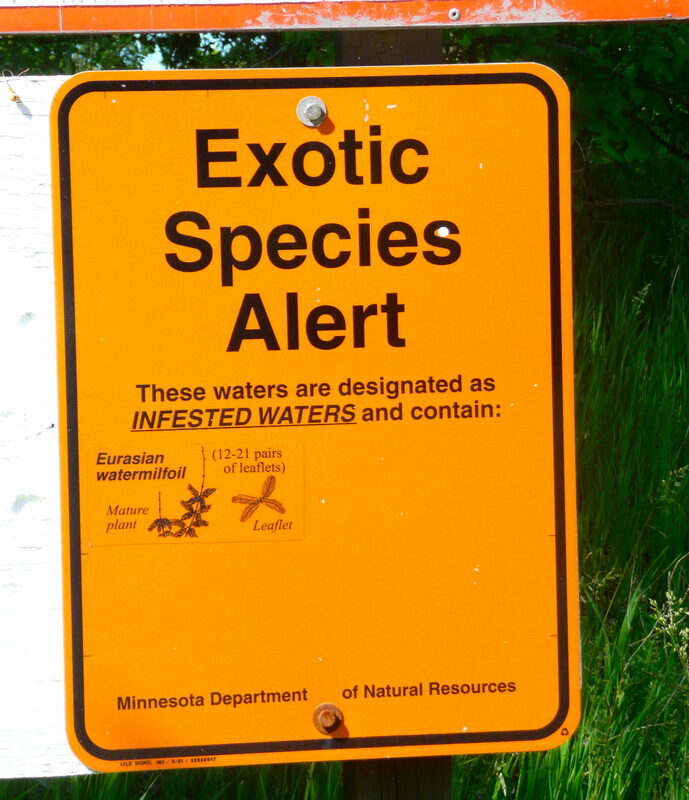 This area had more warning signs of bears in the area and infested waters with exotic species. Okay so — maybe I don’t want to canoe in this river. After passing this area, the pamphlet we had told us to go to an area so we could see the makings of a beaver dam so we headed that way. Most of the dam was covered though and all we could see were branches. 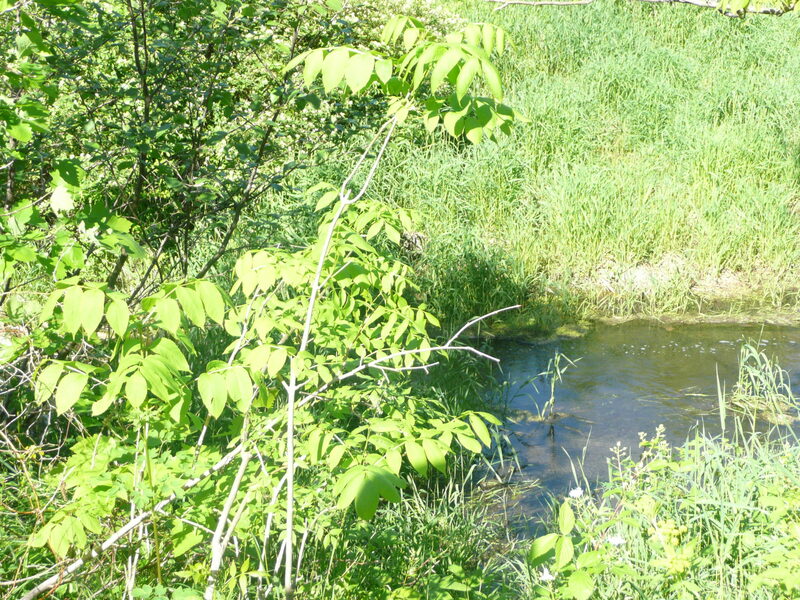 The picture below shows the entrance to the dam (on the left). Unfortunately, this was the demise of our interesting walk. As we headed back to the original trail, we spotted ticks on us. We quickly got them off but then something bit me on my shoulder. I quickly slapped and killed it but could not tell what it was. 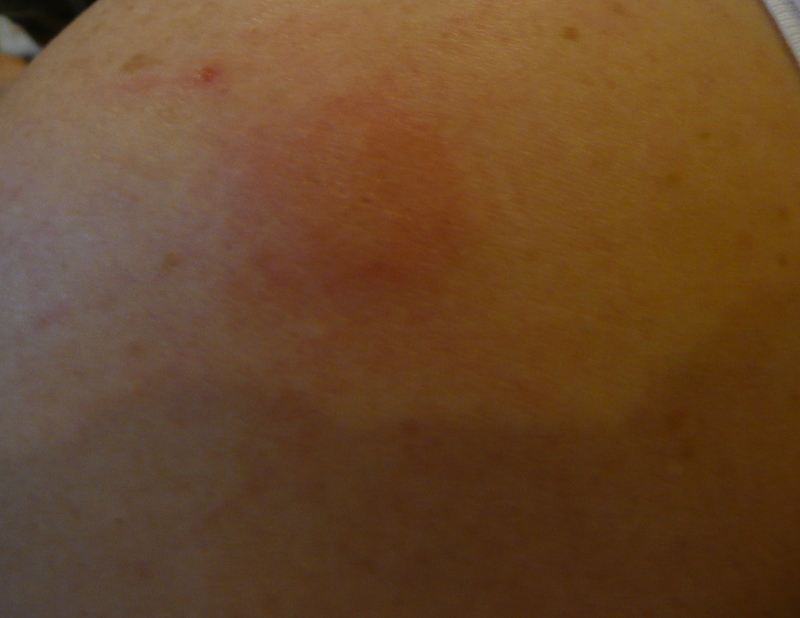 It left a huge bite on my left shoulder. I don’t know if it was a tick or a different type of bug. Ouch! 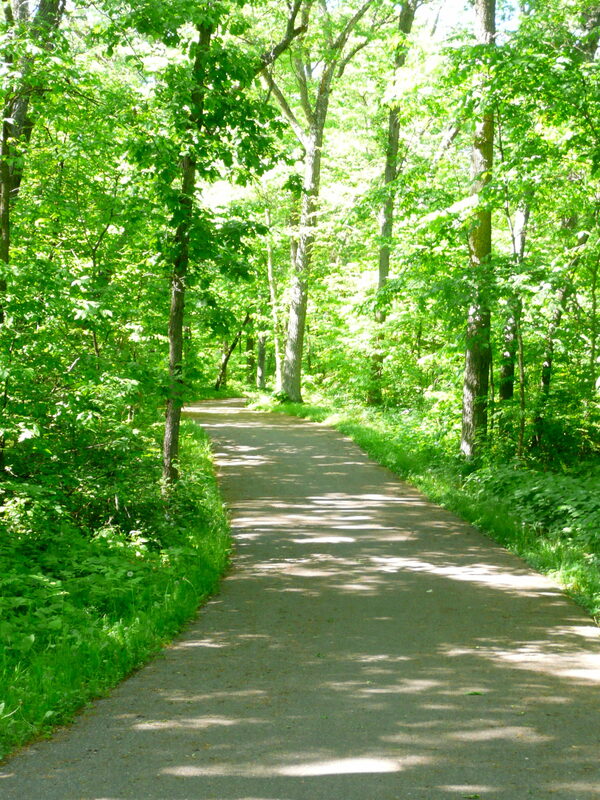 After this walk, I came away with my first two Minnesota mosquito bites and an unknown bug bite. For now, I’m itchy and don’t want to see any more ticks or hear any more mosquito songs in my ear or feel them on my body.